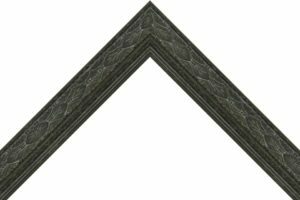 Our largest product range, Black Picture Frames, star in this month’s featured product. 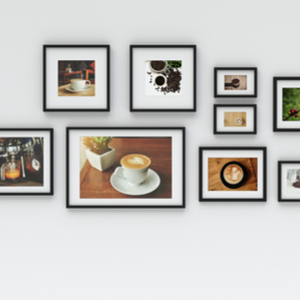 With our online designer, combined with the versatility of black picture frames, they create the perfect surrounding for your photos. Oak shelving? A white wardrobe? Leather bed? A black picture frame doesn’t look out of place with any decor, especially if mounts are included to match the white decor specifically. 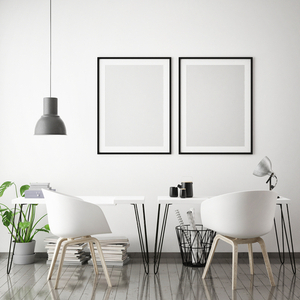 Black pictures frames work well when trying to include subtle personal details with your interior, with thinner frames not attracting all the attention. In contrast, thick black frames can create a statement piece for your wall, if that’s the style you’re going for! 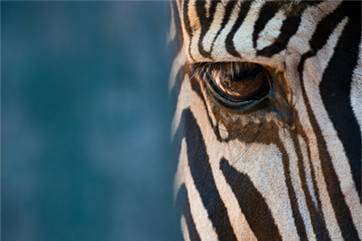 Black and white, full colour, vibrant and dull, a black framing around any picture doesn’t contrast the photo, keeping the photograph the centre piece of the wall you’re mounting on. Black frames with a white mount are exceptional when making the meaningful photo you’re framing stand out. Our frames have multiple finishes with patterns, no grain, grain, gold lined or smooth to match the interior style you’re going for. Below, are two examples taken from our online designer, with a variety of styles ensuring we can match your interior or photograph you’re framing. From modern interiors with a smooth minimalistic finish, to vintage patterns for historic photos, our online designer has them all. 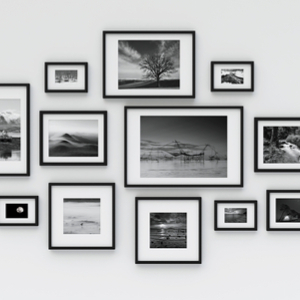 Vertically, horizontally, stand alone or as part of a mini gallery, black picture frames provide the versatility to create the style you’re looking for. 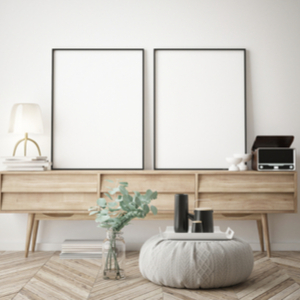 The easy change in variation from thin to thick frames, and the flexibility in mounting options can create a statement piece for your wall as part of a group, allowing you to incorporate smaller images into the piece. 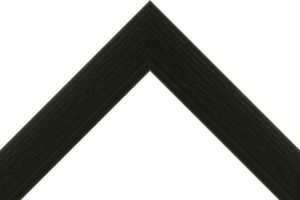 Take a full look at our Black Picture Frame range in our online shop here!